The DC Super Hero Collection features a 1:21 scale figurine of DC Comics greatest heroes and villains and comes with a 16-page booklet detailing the character's history. 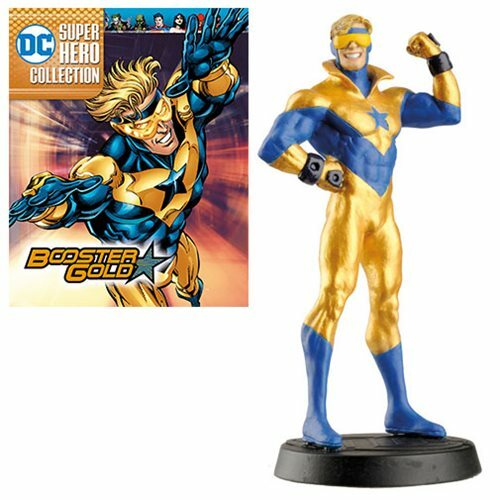 Cast in metallic resin and hand painted, this detailed figure features Booster Gold posed in his iconic outfit. The DC Superhero Booster Gold Best of Figure with Collector Magazine #31 comes packaged in a compact box which measures about 7-inches tall x 6-inches long x 2-inches deep. Ages 14 and up.